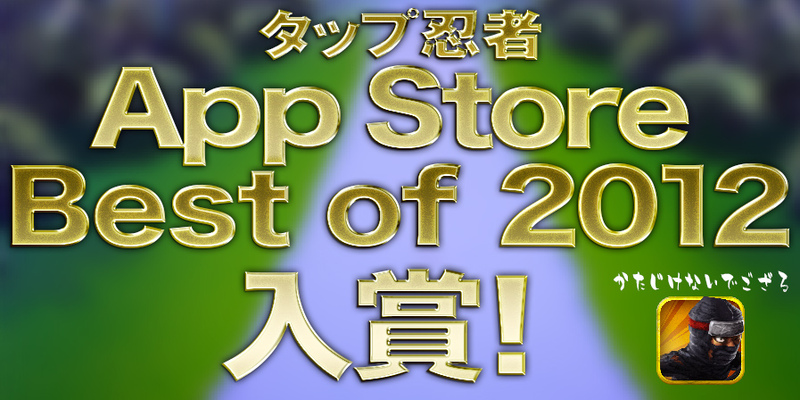 Tap Ninja is now showcased in running game category of App Store Japan’s Best of 2012.
running game category recommended by App Store staff. TAP NINJA is a game where you tap the screen to control the ninja running through the night. Defeat your foes and avoid obstacles as you aim to get a high score based on the distance run and the coins　you get. It was ranked 3rd in the free app ranking on the App Store. Enjoy Tap Ninja during the year-end and New Year holidays.